London : Indian cricket superstar Sachin Tendulkar stresses that rather than considering retirement at the age of 37, he has many more goals to fulfil. Tendulkar, who made history earlier this month by becoming the first batsman to score 14,000 runs in Test cricket, has stressed that his desire to improve remains as intense as it has ever been. "I'm really focusing now on how I can get to the next level as a batsman. How can I get even more competitive? How can I get even more consistent? How can I get better?" Tendulkar has had the most prolific year of his Test career, which began in November 1989 when he was just 16, and he has returned to the top of the world batting rankings for the first time since 2002. In February he scored centuries in successive Tests against South Africa before, against the same opponents, becoming the first man to reach 200 in a one-day international. He was the highest run scorer in the IPL and also made a Test double-hundred against Sri Lanka, and two half-centuries, before his remarkable performances against Australia which saw him reach the 14,000 landmark in the second Test at Bangalore while scoring 214 and an unbeaten 53 to complete India's 2-0 series victory. Describing 2010 as his "sweetest year", Tendulkar has also won the ICC's Player of the Year and earlier this week in London he was feted with two more prizes at the inaugural Asian Awards. 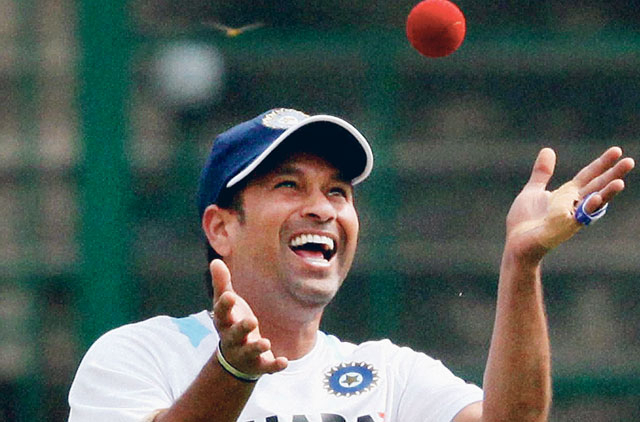 According to Tendulkar: "Life would be flat without dreams. I think it's really important to dream and then to chase those dreams. I really believe in this because it's this dreaming that makes me work so hard. "I want to continue doing that because I've worked very hard the last couple of years on my batting. Gary Kirsten [the former Test opener for South Africa who now coaches India] has been instrumental in this... Gary has helped me do this and it's because he's more a friend than a coach."